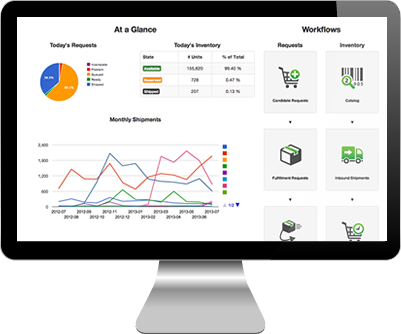 Our cloud-based Logistics platform makes shipping orders easy as clicking a button. Easily ship from your computer, tablet or phone. Ready to go plug-ins allow you to be up and running fast! Need a custom solution? Our REST API allows you to connect your custom website or ordering system to us with industry standard XML. Learn more about the Shipvine Logistics API. We’re a high-tech fulfillment company that puts knowledge and speed together to deliver an amazing experience for you and your customers. Our cloud-based software can be customized to give you the solution your business needs. B2C orders submitted by 12 noon Eastern ship the same day, or your money back. Your customers will receive the correct order each and every time, we guarantee it or your money back. Plus, you can customize your shipping options by selecting specific services, couriers, and business rules. 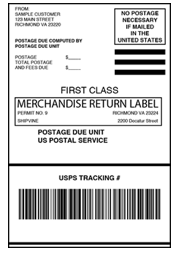 Increase customer satisfaction by providing prepaid return labels. You're only charged if the label is used making it easy and cost effective. 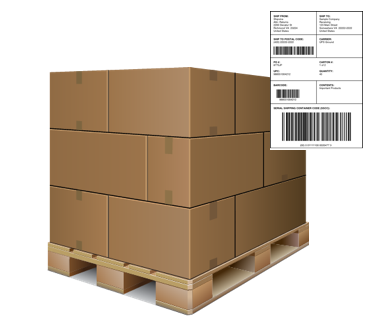 Industry standard labeling such as SSCC labels are generated automatically insuring your shipments meet vendor requirements. Our simple pricing structure allows you to add the services you need, so you're only paying for what you're using.